Instagram has over 500 million active users. That’s a lot of potential! There's much more to Instgram than the 500 million active users we love to boast about. Instagram is the only platform that shows all of your content on your follower’s page. 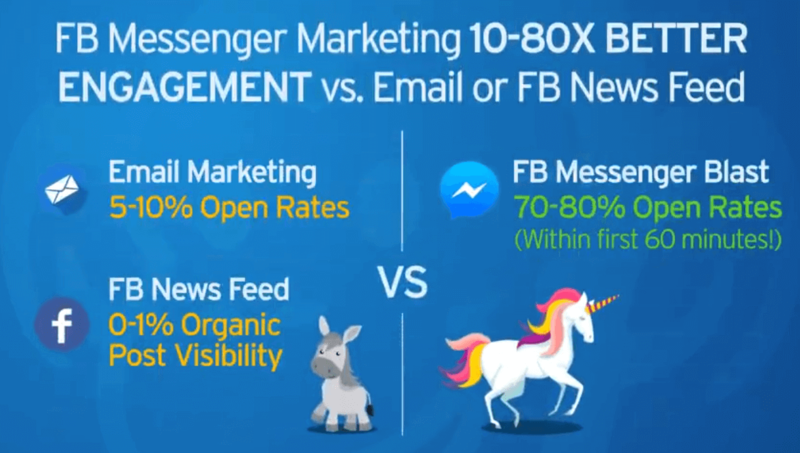 There is no need to pay to ‘boost’ a post like on Facebook. It’s extremely visual and therefore extremely creative. Allows your audience to have a look into your business or personal life. Instagram makes sure it cleans out ‘fake accounts’ so that you know your followers are the real deal. You can interact on a day-to-day basis with your followers. Content on Instagram is universal. A picture of a flower is the same around the world. So, now that we’ve decided that Instagram is a great tool for your business. The question is: how can we grow our following and therefore grow our business? It’s important to have meaning and direction for your Instagram account. You want make sure that you strategically choose the content you post, how you post it, and the tools you use so that you can gain meaningful followers and produce sustainable results. Determine your brand - what’s your story? A highly visual platform like Instagram is a great place to tell a story and your followers want to see the whole thing. Show them what you’re about, how your product is made, your company culture, etc. Basically you’re showing off how great it is to do what you do. 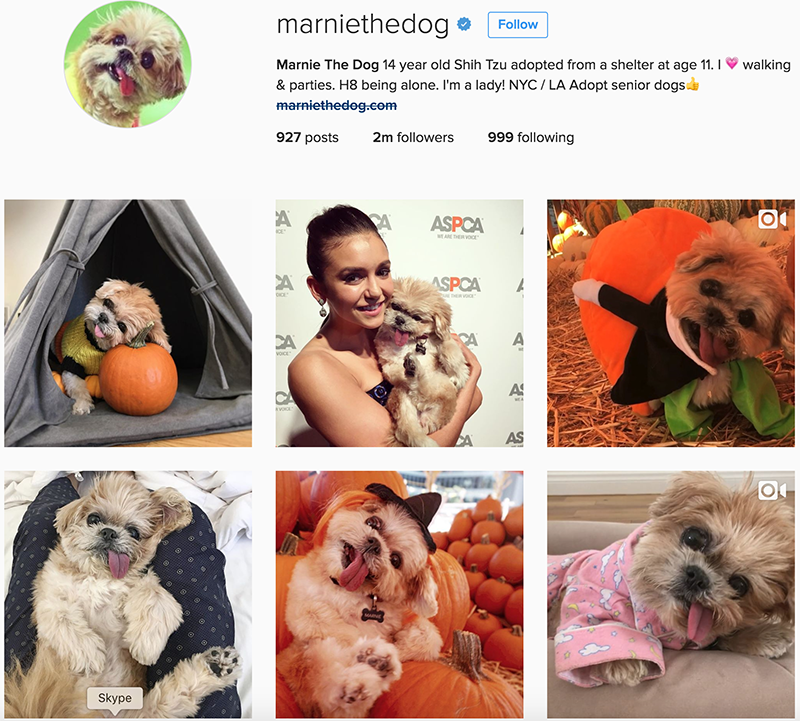 For example, Marnie the Dog, an Instagram account with two million followers, is entirely dedicated to this cute pup that can’t get her tongue back in her mouth. Look at Instagrammers in your niche and see what a realistic following looks like, the type of content they’re posting, how often they post content, and how well they are engaging with their audience. If you know exactly the type of people you are looking to reach, you’ll know the best ways to catch their attention. You’ll see in step (3) that the time of day that you post is just as important as the content. If your target audience is young teens, then it’s likely that they will check their Instagram the most often right after school lets out. Increase your visibility by using different social media platforms. Make sure your website, Youtube, Twitter, Facebook, Pinterest, etc. have a visible link to your Instagram. #Hashtaging: Posting visually appealing photos will help you maintain your current followers, but hashtags are the best way to gain new ones. But remember, just because you used the hashtags #tbt and #fashion doesn’t mean you’re going to get 1 million followers overnight. The key is to choose the right hashtags. Try keyword research to make sure you’re using the most relevant tags that have to do with your account. 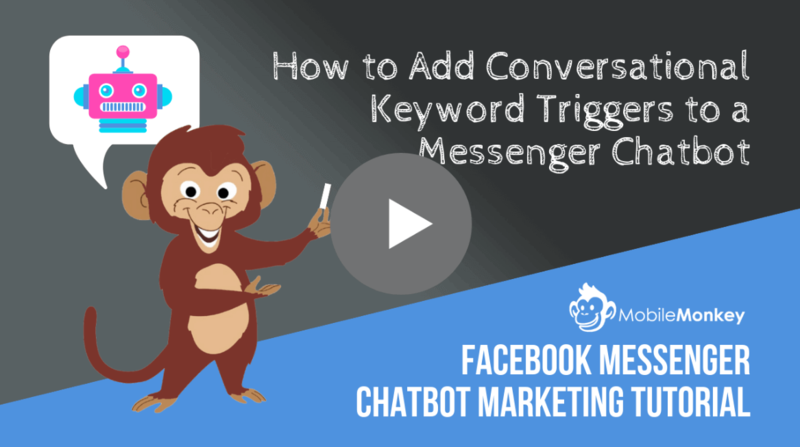 At the same time, you have to match them with the most popular tags to optimize your results. It’s annoying for your followers and looks spammy. d) Don’t use tags like #likes4likes or #follow4follow. This only attracts spam and followers who are using you for follows. This strays away from the idea of building an account with meaningful followers. 1. Reach out to influencers in your industry and ask them for a sponsored post. Prices usually range from $25-$50. 2. You can use Instagrams own Sponsored Ads. The post looks just like a regular Instagram post but with a blue ‘sponsored icon on the top right corner. Click here to see how to get an ad on Instagram. Think about things like the sleep and work schedules of your followers. You can determine the best time to post by testing which photos have received the most attention at different times. As a blogger, I know that life can get busy and that schedules change, but its important to show your followers that you’re consistent. Tools like Latergram allow you to sleep soundly while photos are uploaded for your followers across the world. Get your audience to comment on your photo by asking them questions. Jenny Mustard, a blogger from Sweden with 54,000 followers asks her audience how their day went. Aww so sweet. after a super fun and hella busy day i'm relaxing on the balcony while @davidmustard_ cooks me rice and tofu. - life could be worse ! - what are you up to ? fun day today ? Tag whoever is in your photo and also encourage your followers to tag their friends. Followers can click on the location and see all the other photos taken and posted there. Videos make your images come to life and satisfy your follower’s curiosity. Recently Nike has only posted videos. Contests not only increase your followers, but also can drive traffic to your account and help to sell your product. Winners, for example, asked their followers to share a photo of a piece of Winners clothing, write a story behind the photo, and use the hashtag #WINNERSMystory. This exposes more people to their products, increases traffic, and rewards their followers for following them. Campaigns can introduce a new product or service to get your followers excited and give them incentive to come back for a visit. Minimalist Baker, a food blog with 395,000 followers, shares this photo with the hashtag #recipecomingsoon. Help out other Instagrammers in your industry by sharing, commenting, and liking their posts. They will likely return the favor. Once these relationships have been created, try collaborating! Youtubers and make-up artists NikkieTutorials and JeffreeStar post photos of each other on their Instagram. Together they have over 8.8 million followers. Who's ready for a new episode of my "Get Ready In My #RollsRoyce" series??? This time I invited my makeup goddess BFF @nikkietutorials to join me on this adventure! --> CLICK the link in my bio to watch! Keeping track of your progress is a great way to learn what you can do differently. 1. Since you started your marketing strategy how many more likes, comments, followers, and shares have you received? 2. Know how engaged your followers are by adding the number of likes or views and comments. Then divide them by your follower count. 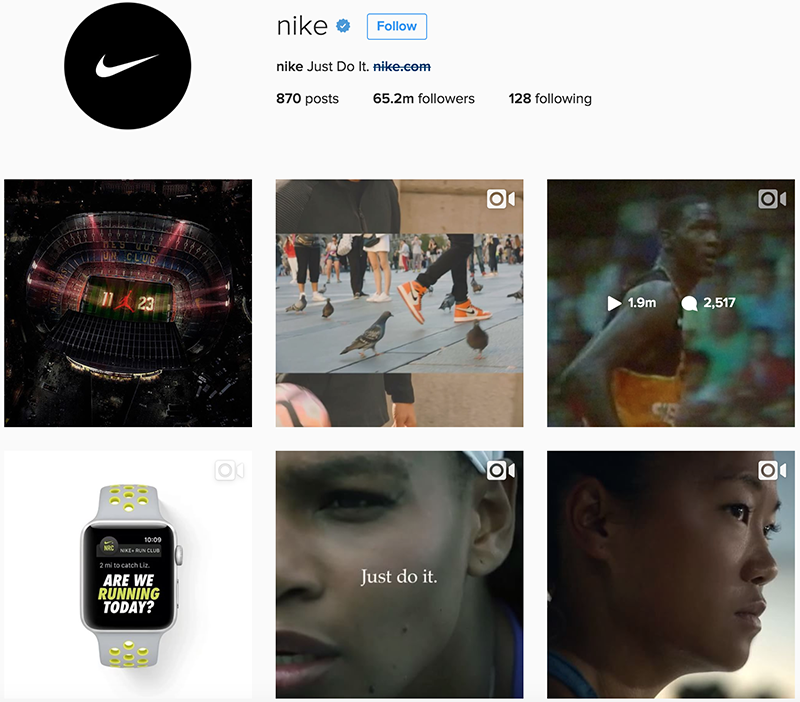 Instagrams own video of athletes competing in the 2016 Paralympics has 5.2 million views + 3,348 comments / 189 million followers = 3% engagement. Remember, 3% of 189 million is a lot! 3. To track if people are clicking on the link in your bio, use Google Analytics and Google URL Shortener. Click here for a guide on how to shorten and track links for social media. 4. Search some of the catchy hashtags you’ve created to see if people are mentioning you. 5. Find out which followers are the most engaged with your content and build a relationship with them. Send them free products or give them a shoutout - sometimes even a reply to a comment will create a powerful connection. 6. If you’re selling a product, do any of your followers buy from you? 1. Use a recognizable and easy to search name. 3. Choose a profile picture that best displays your brand. Usually this just means using your company logo. 4. Fill in your bio: Make it short and sweet, but informative. Catch your viewer’s attention by letting them know who you are and what you do. 5. Add all the necessary links to your bio so that the viewer can easily switch from your Instagram to your website, Snapchat, twitter, etc. 6. Make sure your notifications are turned on so that you can react quickly to their comments and shares. 7. If you haven’t noticed, photos matter A LOT on Instagram. Click here for tips on how to take quality photos on your smartphone and here for the best photo editing apps. 9. Post 15-20 photos before engaging with your followers so that they have an idea of what your account is about. Websta helps you track your own Instagram and everything else that’s happening on there: from most popular hashtags to the most followed account on Instagram. Iconosquare helps you measure and optimize your performance. Simply Measured helps you see which areas of your Instagram are performing the best. CrowdFire helps you manage your followers by offering you features like seeing the accounts you follow that haven’t followed you back. Later schedules and manages your Instagram posts so that you can sleep soundly while pre-determined photos are uploaded. 2015BestNine shows your 9 best Instagram posts. 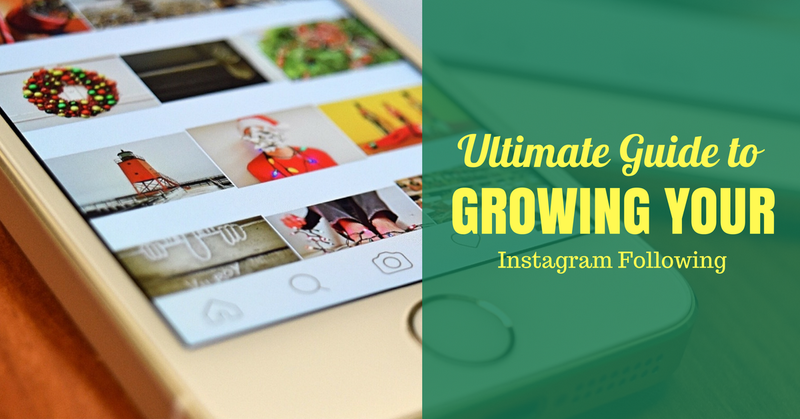 In this post we talked about the best way to get more followers on your Instagram and therefore grow your business. The key to success is to be strategic, keep track of your progress, and overall, have fun and be creative! Because that was Instagram was built on! Previous Post What’s a Content Delivery Network and Do You Need One? Next Post What Is a Permalink and How Do You Optimize It? I find that videos do really well for me. They get considerably more attention than a regular picture would.